"El Guitarrero" is the story of an American poet in Mexico who is tormented by a guitar player. It is an episode of Escape that has aged poorly, and it seems that the only Latin American involved in this production was the actual guitar player, Jose Barroso. The Spanish spoken in this episode sounds similar to what I sound like in Spanish class, and the English has become dated. The recording of this broadcast includes an interruption for a CBS news report from Freedom Village in Korea. For about three minutes, the names of the American soldiers involved in a prisoner of war exchange are announced. These few minutes are far more emotionally powerful than anything else in "El Guitarrero." When we are returned to the story, the American poet and the Mexican guitarist are about to have drinks. From there it launches into a drama of hatred between the two. The question at the heart of this story asks, does the poet writing about love and pain really understand the emotions he writes about, or do the words just sound pretty? The guitarist thinks that the poet is only standing on the sidelines of life, watching. I won't ruin it for you by telling you what happens after that. This isn't a bad episode but you may have to listen to it more than once, or have a shot of tequila, to figure it out. The guitar playing in the background is lovely. "El Guitarrero" was written by E. Jack Neuman, who later went on to have a long career in television. Eddie Firestone Jr. starred as the poet. He went on to have a very successful career as a character actor in movies and television. The man who starred as the guitarist, Jack Kruschen, also had a successful career in movies and television. He was nominated for an Academy Award in 1960 for his role in The Apartment. If you need a reminder as to why it is you should never accept a ride from a stranger -- then "Drive-In" is for you! This episode belongs to a sub-genre of Suspense stories that are also cautionary tales. These dramas are still convincing because their warnings are still valid. Judy Garland stars in this episode but do not expect to hear singing. Here she demonstrates that she was just as compelling as an actress on radio as she was in movies. In 1946, the year this show aired, she also appeared in the films: The Harvey Girls, Ziegfield Follies, and Till the Clouds Roll By. "Drive-In" was written for Suspense by Mel Dinelli and Muriel Ray Bolton. 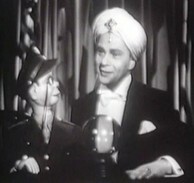 It was broadcast three times but Garland only appeared in the lead role once. Raymond Lewis played the driver. This version was heard on November 21, 1946. The Suspense episode "The Hitchhiker" is well known because the radio play was transformed into a television episode, and it has since lived on in reruns. In this story, a supernatural hitchhiker follows the main character on a trip across the country. Orson Welles, for whom the role was written, first performed "The Hitchhiker" on the CBS network's Mercury Theater on the Air in 1941, and then again on Suspense in 1942. The radio play was written by Lucille Fletcher, who also wrote Suspense's most famous episode, "Sorry, Wrong Number." (This episode also features her husband, legendary film-composer Bernard Herrmann, who composed and conducted the music.) In 1960, "The Hitch-Hiker" became an episode of the CBS television show, The Twilight Zone but with Inger Stevens in the lead role. The radio version has chilling sound effects. Well, chilling or hokey. It depends on your point of view. Listen for the sound effects of the phone call made by Welles. The suspense builds as his call goes from operator to operator across the country, but it also shows how many people had to be involved just to make a phone call back then! This episode was broadcast on September 2, 1942. The original presentation of "The Hitchhiker" performed by Orson Welles and his Mercury Theater aired on November 17, 1941, but no recording of that broadcast is known to exist at this time. However, a 1946 version performed by Orson Welles for The Mercury Summer Theater is available below. Many old radio shows have stories that include hitchhikers. 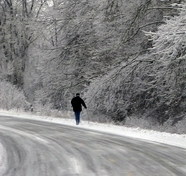 Often, they play on the urban legends of "The Vanishing Hitchhiker" or "The Two Hitchhikers". Here is an episode from the radio series The Clock (1946-1948) that is also called "The Hitchhiker". It is a spin on the urban legend where one of two hitchhikers is dangerous but appearances turn out to be deceiving. This episode was broadcast on February 9, 1947. For more information about urban legends about hitchhikers consult The Encyclopedia of Urban Legends by Jan Harold Brunvand. For more information about the Twilight Zone episode "The Hitch-Hiker" consult The Twilight Zone Companion by Marc Scott Zicree. 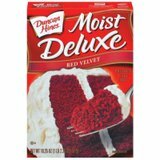 You may have noticed that red velvet cake has become popular again. The story of the outrageously expensive recipe for this cake is an old urban legend. In recent decades, this legend was given new life when its subject was switched from cake to chocolate chip cookies and when it began to circulate via e-mail. The basic story involves a restaurant patron who asks for the recipe of a dessert without knowing that a hefty charge for it will be placed on their bill. This person consults with a lawyer and is told that there is no way to avoid paying. According to Jan Harold Brunvand in The Encyclopedia of Urban Legends, this story is most often associated with a red velvet cake supposedly served at the Waldorf Astoria Hotel in New York City in the 1960's. In this version of the legend, the pricey secret to the cake was merely a large measurement of red food coloring added to a white cake mix. The angry purchaser of the recipe then distributes it freely out of revenge. This legend transferred over to Mrs. Fields Cookies in the 1980's and most recently to Neiman Marcus as the "$250 cookie recipe". In response to the urban legend, Neiman Marcus posted a free cookie recipe on their website. Unfortunately, neither Escape nor Suspense ever based an episode on this urban legend but the comedy series The Couple Next Door did. Their humorous version of this story is about a French chocolate cake and has an added twist where their lawyer adds insult to their injury. "The Cake Recipe" was broadcast on January 13, 1958. The new movie Zodiac, the dramatization of the hunt for the killer who terrorized the San Francisco Bay Area during the 1970’s, includes references to the short story “The Most Dangerous Game” by Richard Connell (1924). It is available at classicshorts.com and many other sites. "The Most Dangerous Game" was made into a movie in 1932 and many different versions were later done for radio and television. Both Escape and Suspense broadcast episodes based on this story but Escape's version was better because they excelled at exotic jungle tales like this one. Their version stays true to the original short story, the actors are convincing in their roles and they all have the appropriate accents. Escape broadcast this episode on October 1, 1947. Suspense's version of "The Most Dangerous Game", which takes a few liberties from the short story, stars Orson Welles as General Zaroff. Welles' drawn-out performance pulls a lot of attention away from the story and onto himself and there is also the baffling addition of a loud pet bird named Zhu-Zhu that Welles interacts with - a lot. Still, it does have Orson Welles.